For 18 days, we lived like Yorkmen. We rowed and sailed our way down the ribbon of water, having stepped back in time and into the moccasins of 19th-century fur traders. willingness to live as a yorkman for the duration of the trip. And what a crew they were! Each one showed amazing skills, strength and tenacity, along with the all-important positive attitude. 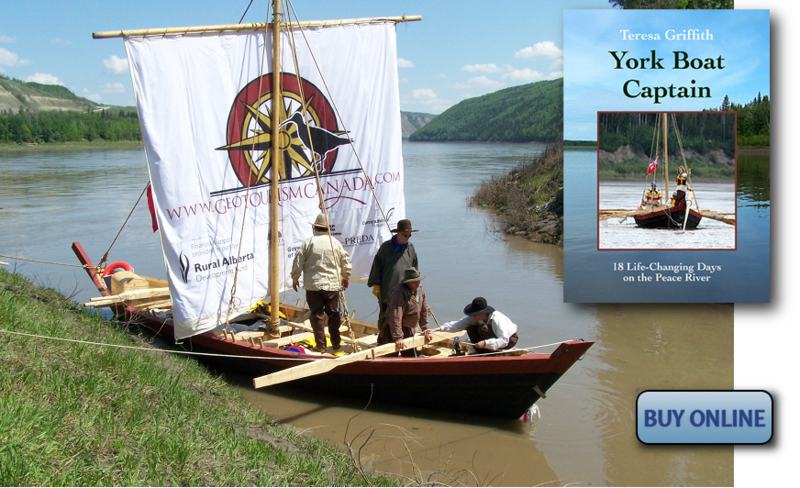 They all were hard-working, fun-loving, and adventure-seeking… everything a Yorkman should be! 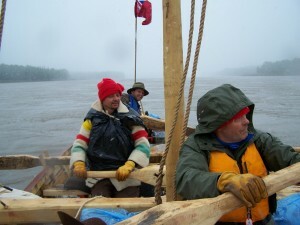 The crew covered approximately 30 km per day, through wind, rain and snow, roughly following the Paddling the Peace guide that Teresa wrote for GeoTourism Canada’s MySites! pages. 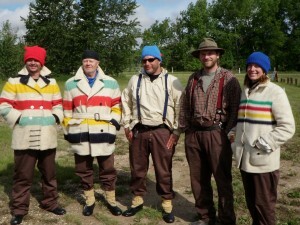 GeoTourism Canada is a not-for-profit organization developing theme-based travel guides designed for tourists interested in nature, exploration, new experiences, history and education. 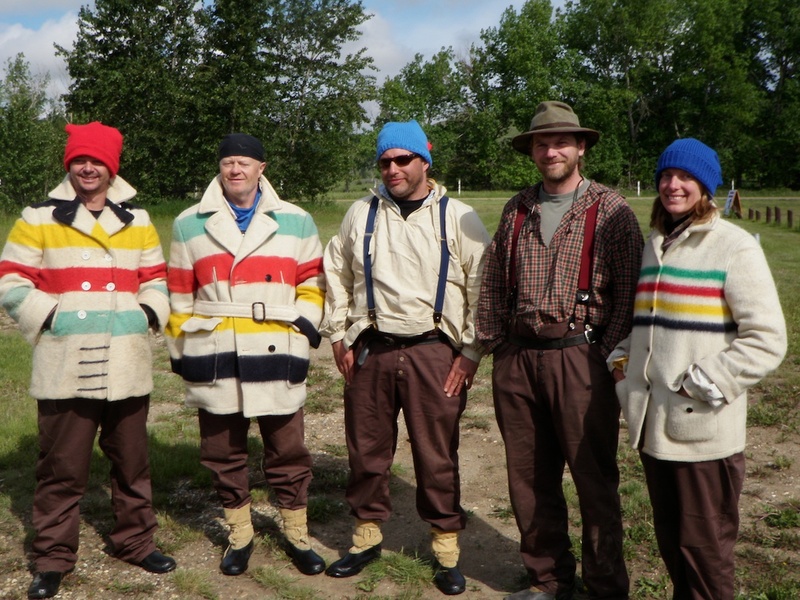 GeoTourism Canada’s goal is to create meaningful travel experiences in rural Alberta, for tourists from afar and for those of us here at home. Visit the MySites! pages to see what there is to do! 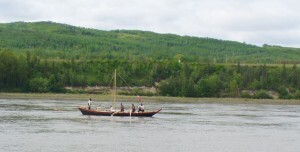 The York boat was constructed by North Woods Canoe Company Ltd of Cochrane, Alberta, based on historically accurate plans. It was completed in an amazing three-month timeframe. 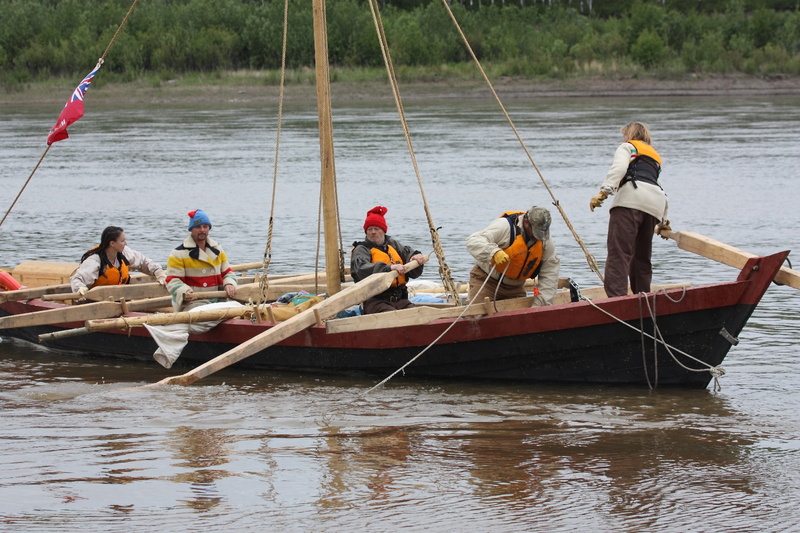 The expedition was a huge success, with six school presentations given to approximately 550 students. 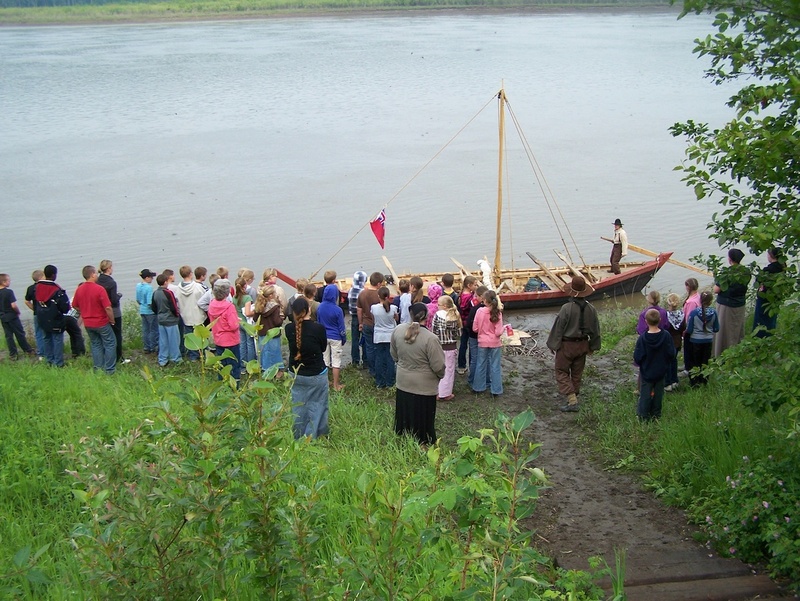 Countless members of the public came to see the boat and crew at official events at Dunvegan, Strong Creek, Peace River, Notikewin Provincial Park, and Fort Vermilion — and along the river at many other spots. 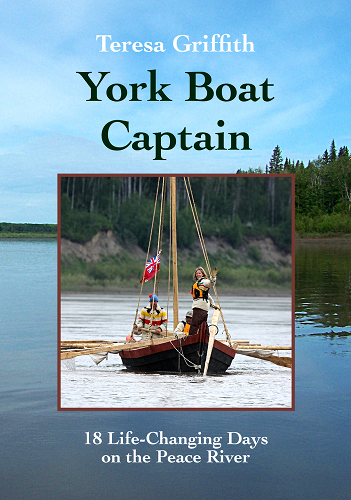 Come aboard as Teresa Griffith recounts the adventures of the first York boat to ply the waters of the Peace River in 80 years. She and her intrepid crew face bad weather, long days, hordes of mosquitoes, and deep, sucking mud in their historical reenactment of a 540-km (335-mile) journey on one of Canada’s largest rivers. 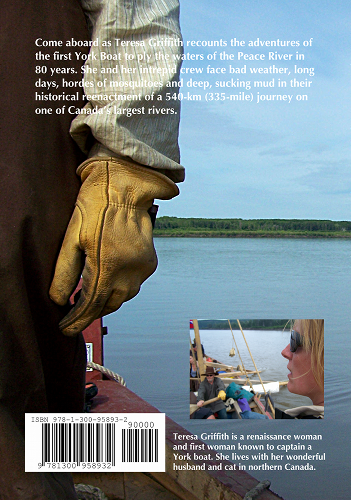 If you own or operate a book store, gift shop, visitor centre or museum and would like to sell Teresa’s book, please contact us. 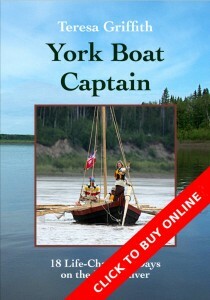 If you’re in a rush, skip to 1:50 to see the York boat and Teresa.